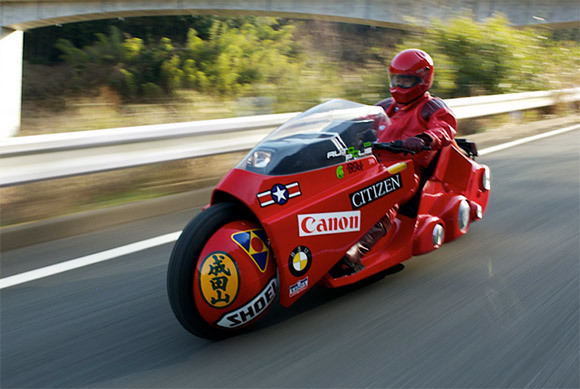 The Akira Bike In Real Life! 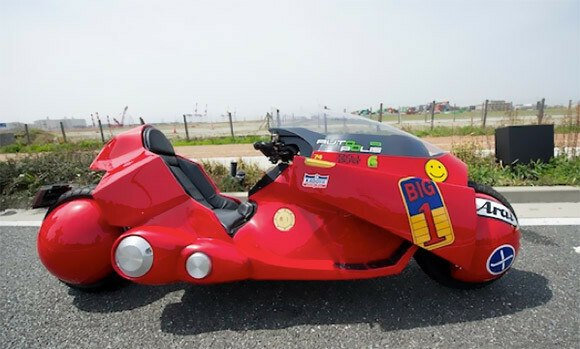 This is a replica of Shotaro Kaneda’s bike from Akira, built by Masashi Teshima, who spent seven years and ¥10 million (US$121,000) to make it. It is officially recognized by Akira creator Katsuhiro Otomo. And Teshima is riding the bike across the country to raise money for children’s autism. After more you can see Teshima and his custom bike in Fukuoka, Kobe, and Osaka.